Water is important for plants. But planting with wet earth leads to a big mess. Therefore always plant a plant in our pots without water and with dry earth. Once you are done you can water it as much as the plant needs. A great choice for the less handy botanicus are airplants. They don’t need earth, only some water or misty spray from time to time. 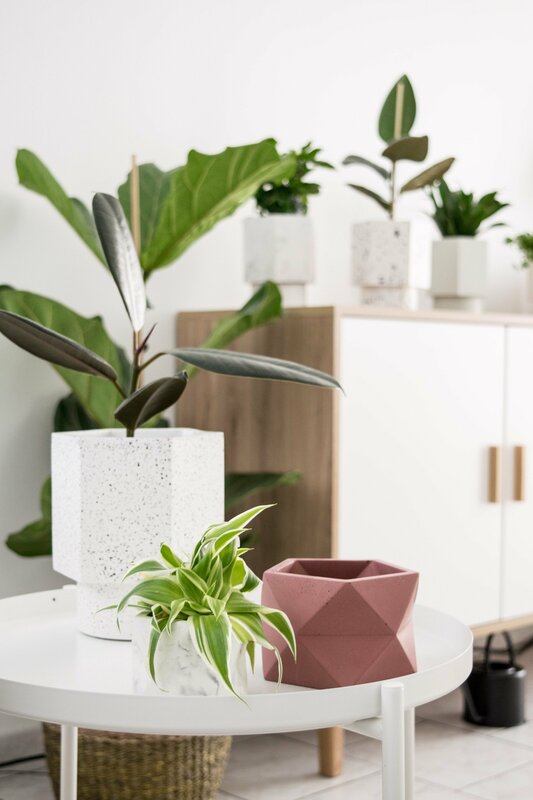 Their modern appearance goes perfectly well together with our pots. 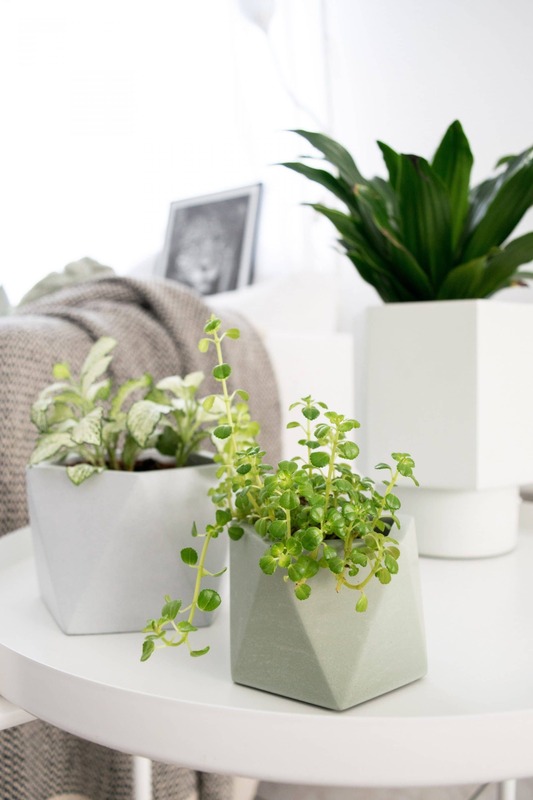 Some of our planters are based on standard sized plastic plant containers. Use Apala, Mare and Palua if you want to pop your plants right in without adding or removing earth. 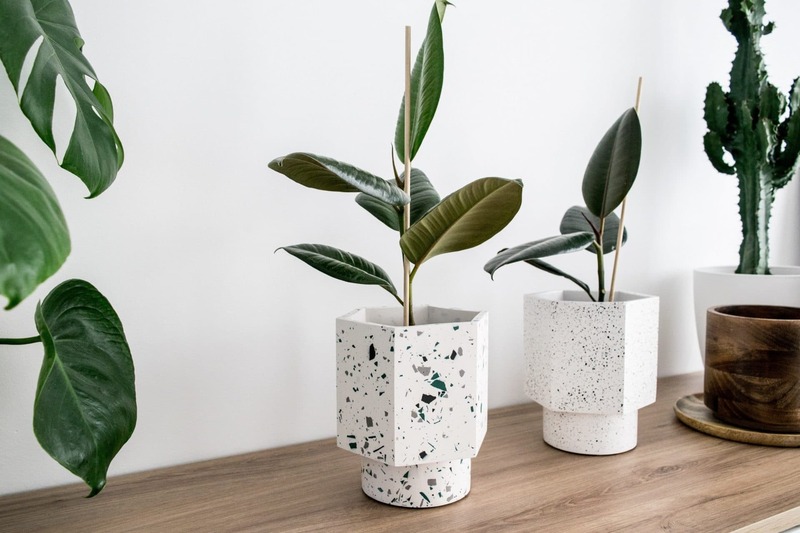 While quite an advanced concrete recipe is used for our concrete pots, they resemble natural stone and are a little porous. This means dirt can go in a little bit. If you want to clean your pot, first try scrubbing with a dry towel. If that doesn’t work, very fine sandpaper (1000 + ) can be a solution. 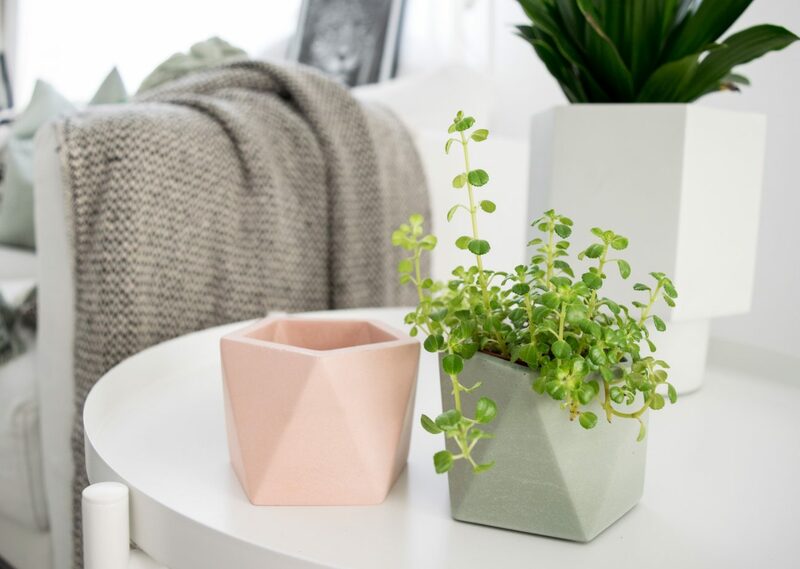 With regards to plants, as our pots don’t have drainage holes, we recommend putting small drainage stones inside the bottom of your planter before planting. Always ensure your soil is moist but not wet and avoid build up of standing water in the bottom of the planter.